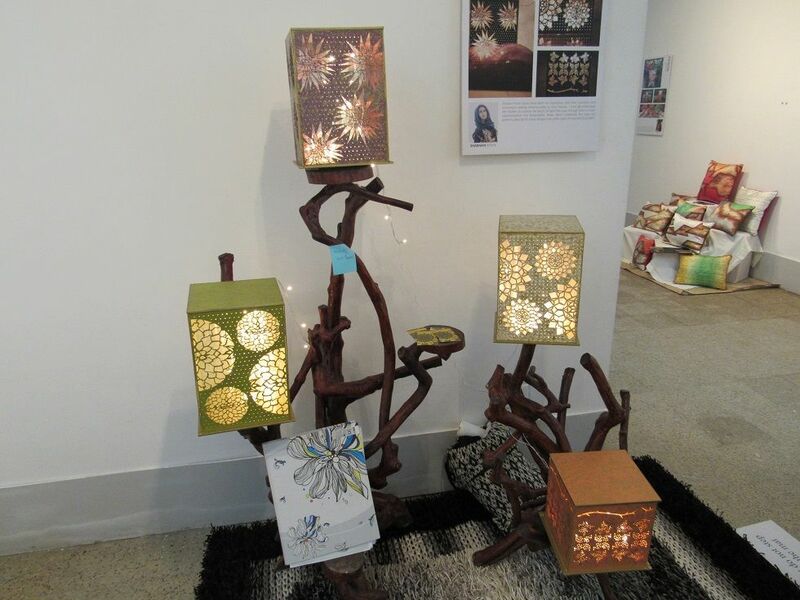 The exhibit in the above photo shows beautiful patterns engraved in metal lampshades. 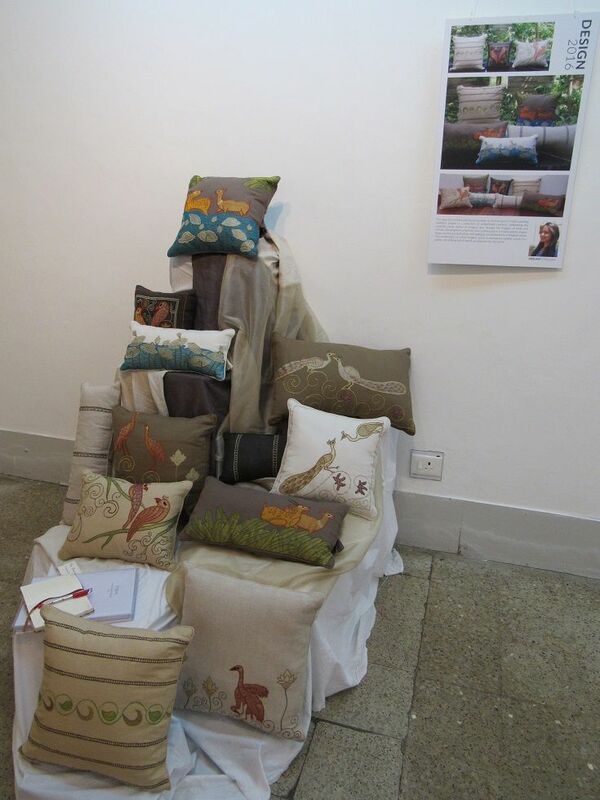 The one below shows birds-themed pillow covers. 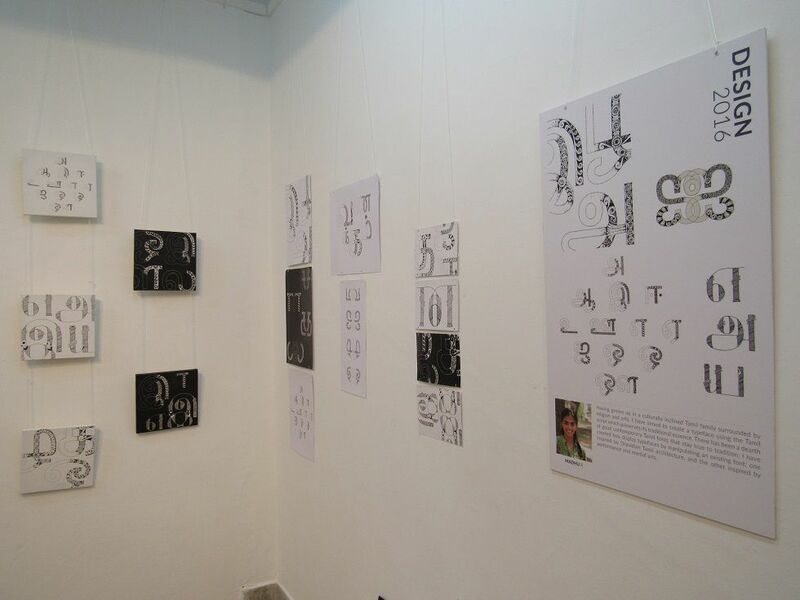 The project in the above photo shows beautiful Tamil typography designed by a student. 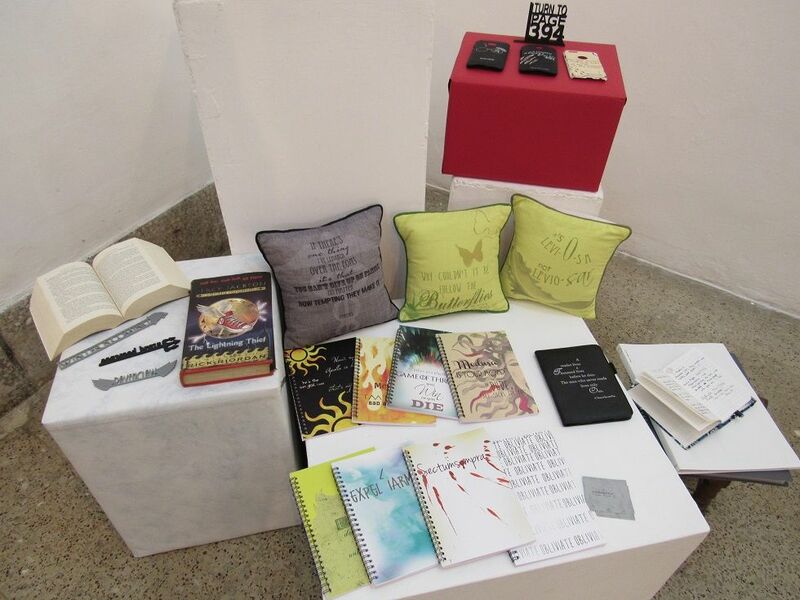 The below photo shows objects and designs inspired by books like Harry Potter series, Game of Thrones series, Perry Jackson series, etc. 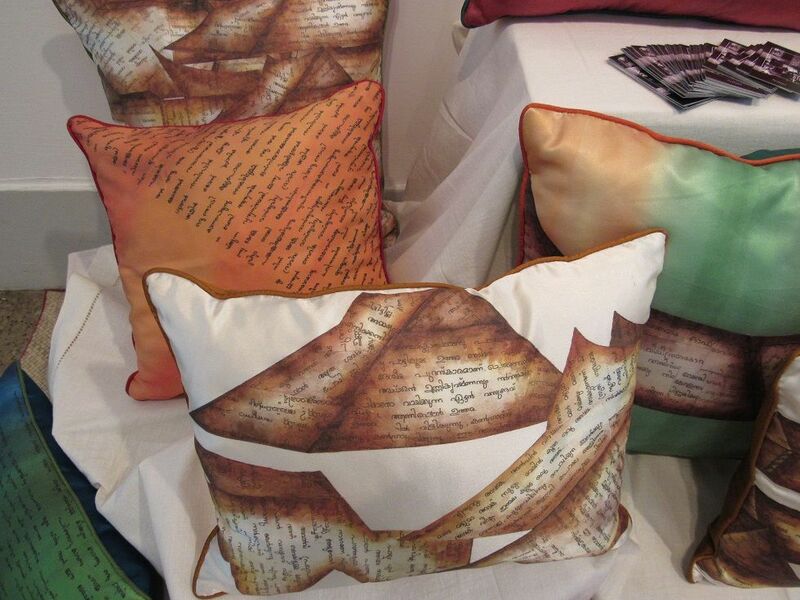 The above photo shows pillow covers emblazoned with the beautiful Malayalam font. The below picture shows how a woman needs to arm herself to prevent harassment in public places (symbolic). 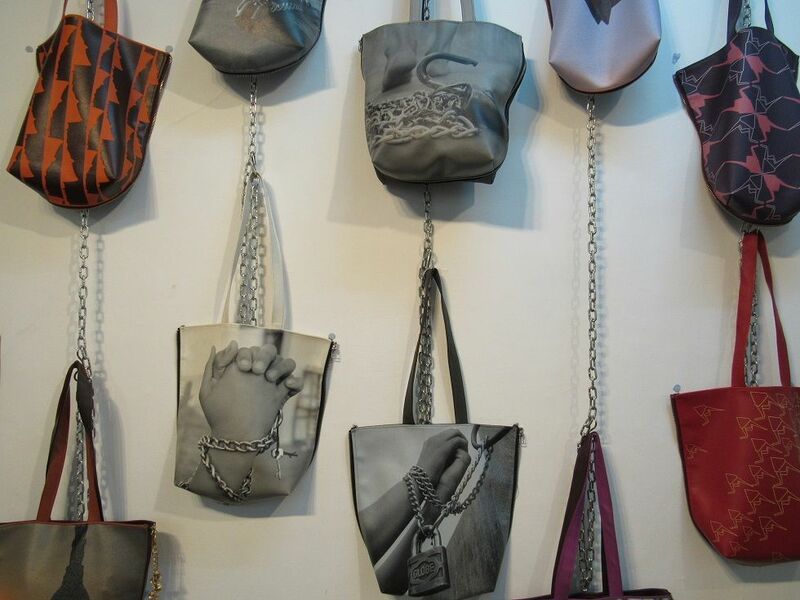 The above exhibit shows bags with images that represent how society chains people and restricts them. 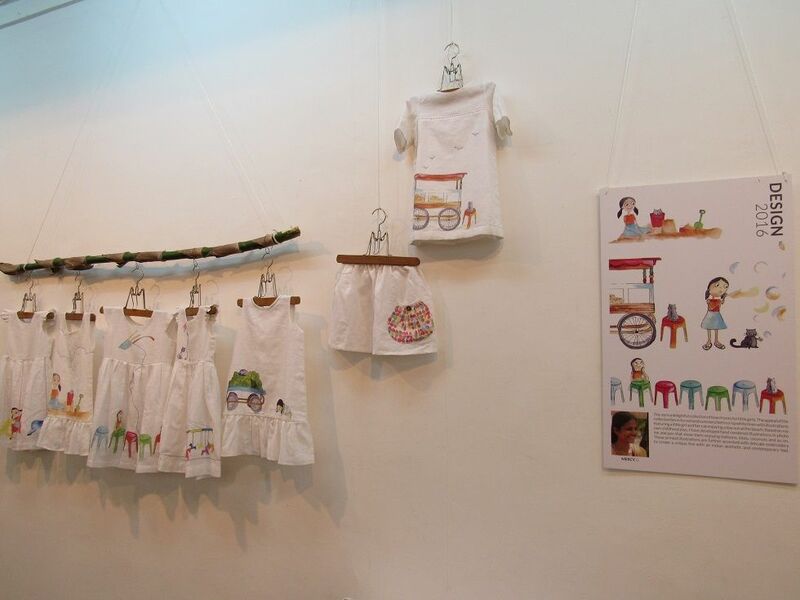 The below exhibit shows kids’ dresses inspired by the imagery and dreams of the student during their childhood. I am sorry I didn’t note down the name of the individual artists, so am not able to credit them. If you are the artist and are reading this post, please leave a comment below with contact details (whatever you prefer to appear next to the photo showing your exhibit), and I’ll include it here in the post. I sometimes wonder why we look to the west for inspiration in art, and such exhibitions prove me right. Way to go! Very interesting. Thanks for the beautiful photos. 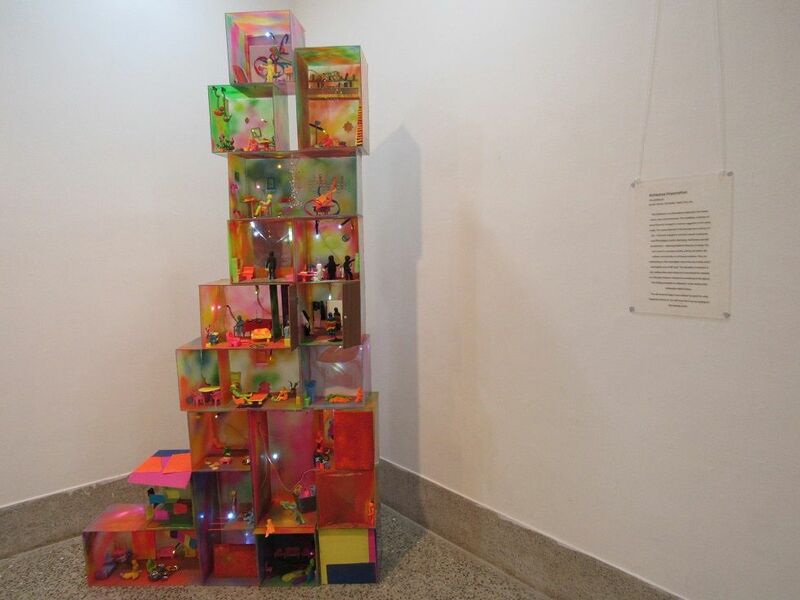 This is very cool and creative! 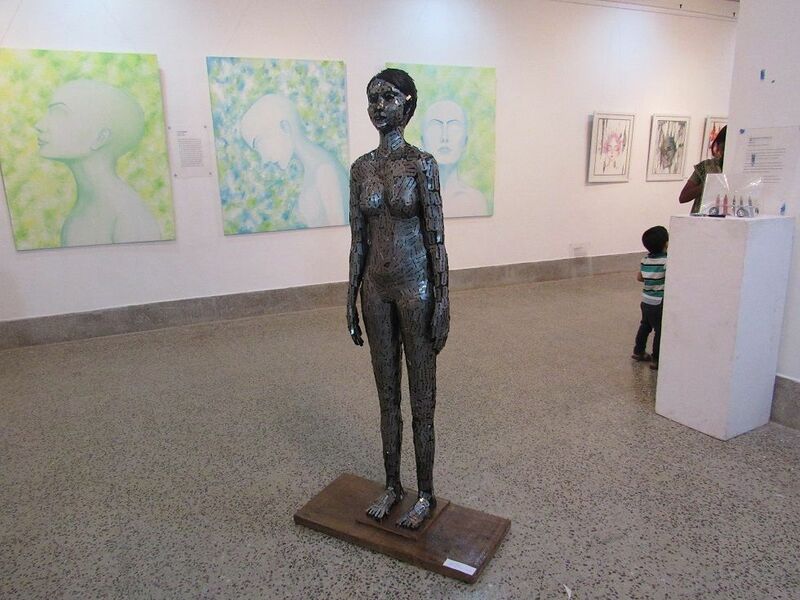 Literally amusing theme work and I liked the doodle with Tamil words and the woman sculpture that I guess is made of razor blades? That Tamil doodle is very creative. I wanted to put a closeup of the font where it looks even better, but this pic shows the over-all image. 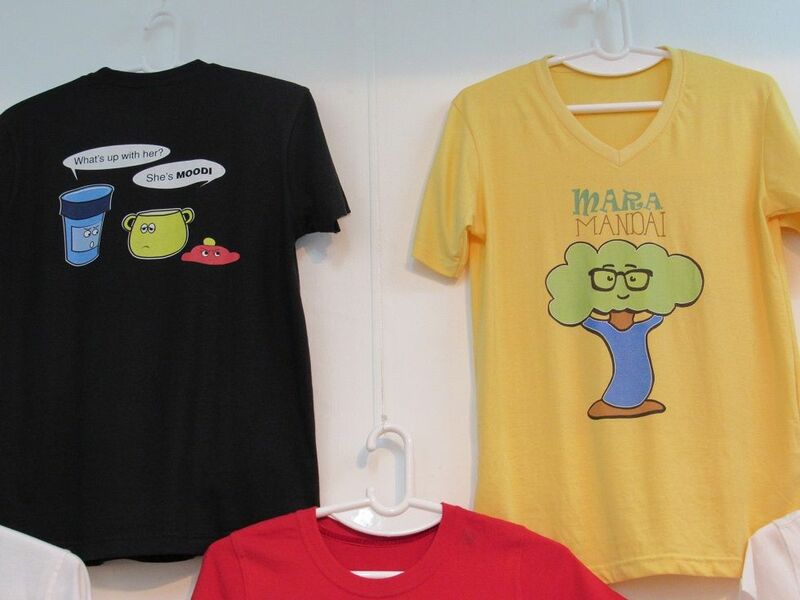 Interesting things… If I were there, I would have surely bought a lot!